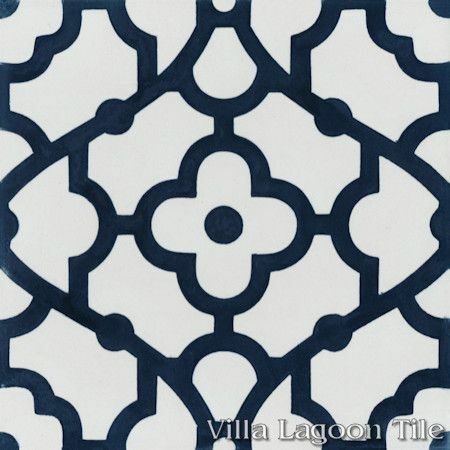 This is a 2-color 8" cement tile, using Deep Inlet and White from the South Beach Palette. This Lundy P. Wilder original cement tile design draws from arabesque lattice and fretwork. 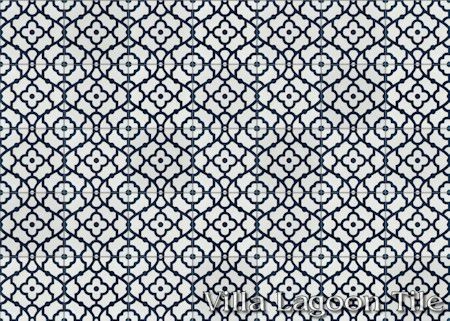 Our exclusive "Breeze" pattern is perfect for setting a Moroccan or Medeterranean theme, or the feeling of a breezy coastal terrace or garden trellis. 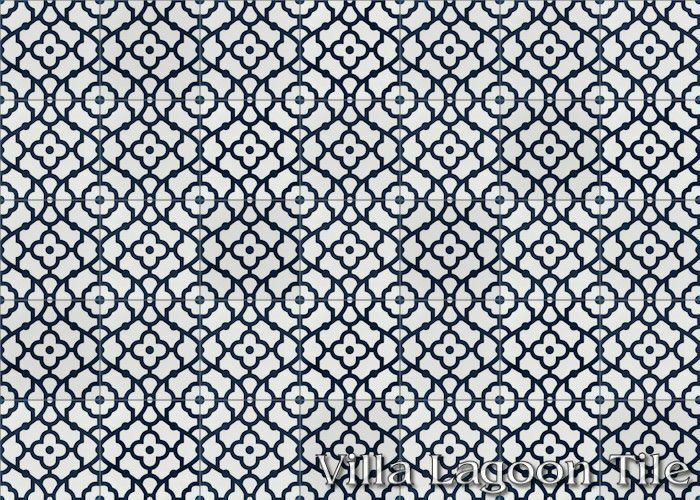 Carried in-stock in our "Deep Inlet" dark blue / Navy and white, perfect for adding some interest as an accent wall for a white kitchen, or elegant bathroom. 50 square foot minimum order (small order charges may apply under 100 square feet). 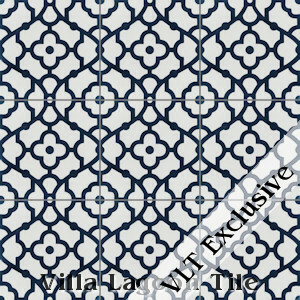 This production of Breeze has sold out, but will always be available as custom tile.